Chemical treatment fume hoods used where the cavity inner walls are treated with filtered acids to reduce the risk of dust contamination. With the emergence of projects with large-scale accelerating cavities or even complete cryomodules (e.g. Spiral 2 and XFEL), there has been an increasing need for large surface preparation and clean room assembly facilities. Chemistry laboratory and clean room facility. In the background on the right: washing cabin. Behind the rear wall: ISO 4-grade room; the ventilation system can be seen at the top. Behind the wall on the right: chemistry laboratory. This need has now been met with the clean room and chemistry laboratory that has been built at the Supratech cryo-RF center. 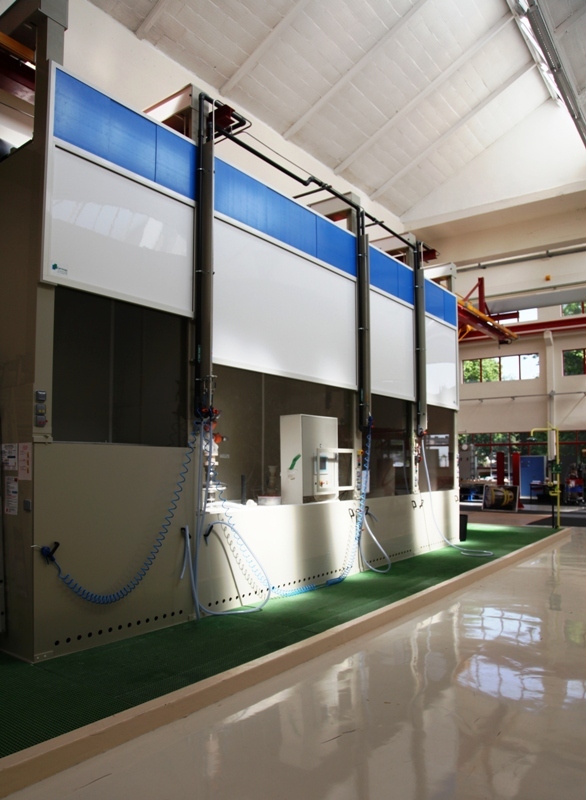 The new rooms occupy an area of 1500 square meters and allow all activities related to radiofrequency cavities to be gathered on a single site. · a 370 m2 assembly area with hoisting equipment for handling loads weighing up to 20 metric tons. 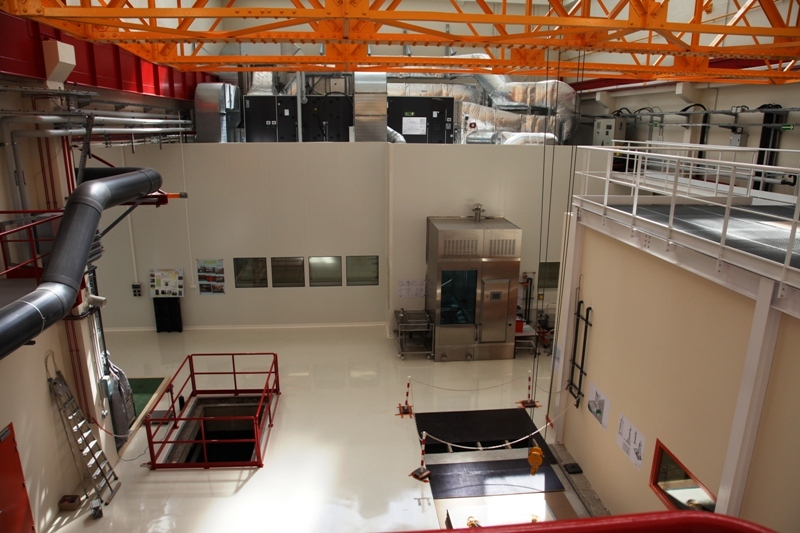 With this new facility, Supratech will be able to play a key role in a number of European large-scale accelerator projects, and remain among the world leaders in RF superconductivity development work for the next twenty years.